“Made With Love” is my new weekly feature, where I’ll be highlighting a favourite piece from an Etsy shop I’ve found and love. After all, handmade is best! Tel Aviv-based store, Feldmos Brothers is a lovely interiors shop selling pretty printed pillowcases and cushion covers. 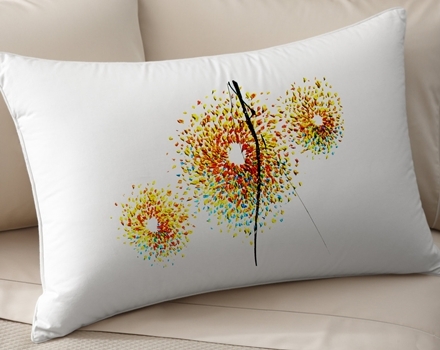 This silk pillowcase featuring colourful art, in this case showing sunflowers, would be a lovely addition to any bed or sofa. I think items like these make fantastic gifts, too. See more beautiful items from Feldmos Brothers on Etsy.